What can I say about dragons? I have numerous dragons that inhabit my world. For sure too many to count and new ones are always showing up to populate my books. They come in all colors and have different breath powers. When I started researching my dragons I discovered that there are several different breath powers that depend on the color of the dragon. A black dragon breathes acid. The blue dragon breathes lightning. A green dragon will breathe chlorine gas. I bet if you stop and think about it you can guess what a red dragon breathes. If not I will tell you, they breathe fire. The white dragon, come on take a guess. No, well a white dragon breathes frost. I think one of them must have visited southwestern Pennsylvania recently, based on the temperatures we have been experienced this past winter. The brass dragon breathes fire and sleep gas. I could certainly use him on those sleepless nights. A bronze dragon breathes a cone of repulsion gas and a line of lightning. He would be a good one to have on your side in a battle. The copper dragon breathes slow gas and a line of acid while the gold dragon breathes a cone of weakness and fire, a good tool for fighting the enemy. The silver dragon breathes a paralyzing gas and a cone of cold. He may have been with the white dragon that visited Pennsylvania. Now you may be asking what happens to a dragon who is not one of those colors? My opinion is that you would have to look to that dragon’s parents, so say a purple dragon like Myrria would have had parents that were blue and red. So she would be able to breathe lightning and fire. Dragons also come in all shapes and sizes as well as living in different lairs, eating different foods, having different enemies and collect different treasures. Much like humans you cannot judge one by another, for dragons are as different as humans. And don't you dare think that they are all the same, because the minute you do that the dragon will gladly demonstrate how she is different. Calling all dragon lovers! This is a must-read article for anyone who likes fantasy. Chris Weigand​ shares how a dragon's power varies according to its color. 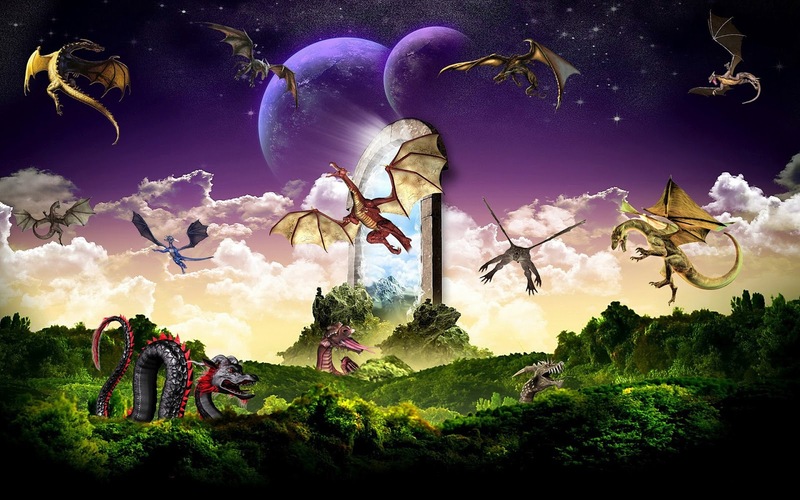 Great information for writers and fans of dragons and dragon lore! Oh my, I never considered that the color of the dragon indicated its power! I just think of dragon = fire. Thank you so much for this great information. Great post! I love this post. So many dragon colors and breath powers to choose from. I never even thought about the different colors and breath powers. It's really interesting. I look forward to learning more about the dragons. Thanks Christina! 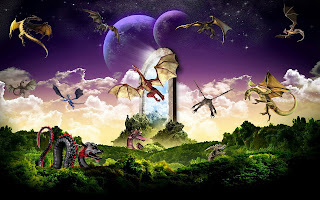 Today on #OurAuthorGang, Chris Weigand​ begins a new series about dragons. Really great, Chris. Anyone who wants to write about dragons should read your blog. Looking forward to more. Thank you Joe. I really do love dragons and enjoy writing about them. +Chris Weigand -- I've written only one story about dragons, but I hope to pick up some inspiration and write more. Awesome article, Chris. Great insight for me, since I am just getting into writing about dragons. Dragons! I am way behindddddddddddddd in my learning about dragons. The first thing I thought of when reading the title of this blog piece was "Puff the Magic Dragon" but then things got serious to say the least. Thank you for educating me. Lol Your welcome Mary and thanks for the comments. What a great fun post!! I didn't know that different coloured dragons, breathed different kinds of things!! Thanks Mary Anne. Stay tuned for more things about what makes the dragons different. I love learning about dragons. Great post Christina. Thank you Nikki. I enjoy writing about them. You really have done your research well, Christina. I had no idea! it's so cool that they are all unique, just like us! +Chris Weigand You are most welcome. I love dragons and never knew about the difference in the colours of fire. Very valuable information here.